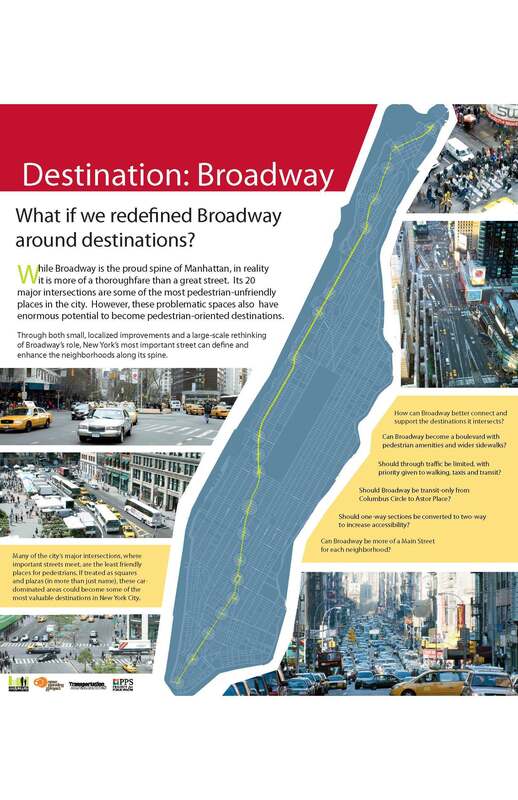 Exhibit board for the rethinking of Broadway we led in 2006. 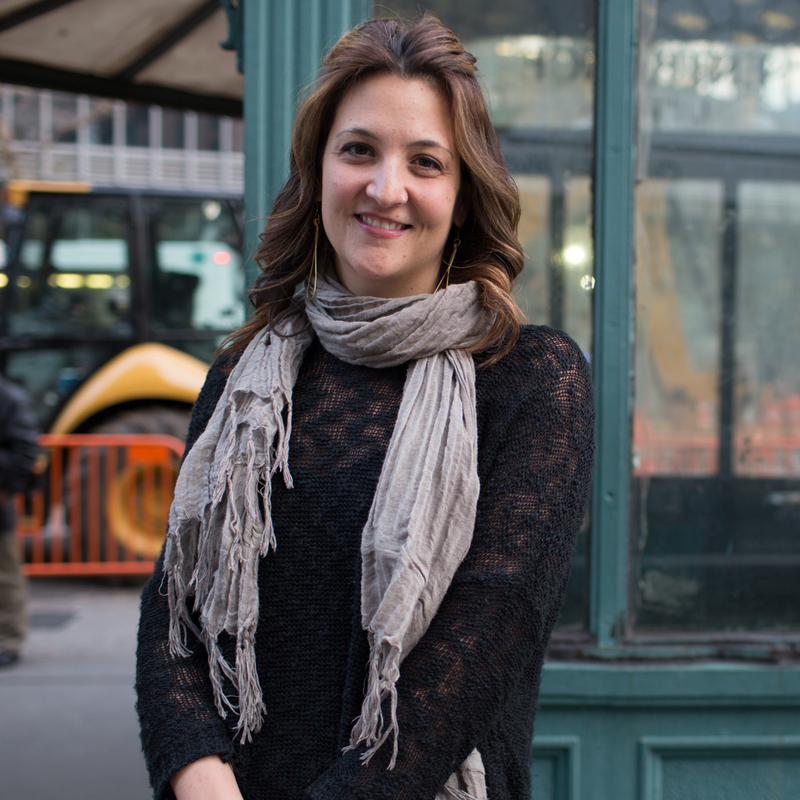 Building on a 30-year history of leading public space innovation in New York City, PPS co-founded The New York City Streets Renaissance campaign in 2005. 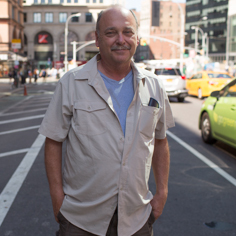 The grassroots initiative catalyzed the transformation of the city's transportation policy and brought sweeping change to NYC streets in a few short years. Project for Public Spaces was brought in by Transportation Alternatives' Paul White and social entrepreneur Mark Gorton, to develop a new campaign model for transportation reform. The campaign was framed to build on Transportation Alternative's (PPS founder Fred Kent also co-founded TA in 1973) effective pedestrian and bicycle advocacy, and leverage Gorton's technology focused Open Plans, in order to create a movement that facilitates, informs and inspires a broad network of partners towards a bold vision for reinventing NYC's streets as places. The campaign launched in January 2006 at the Municipal Art Society (MAS) with an exhibit, Livable Streets: A New Vision for New York, designed and directed by PPS. The exhibit covered the problems, myths, and potential of NYC's traffic dominated streets, showing how cities around the world are addressing similar issues. 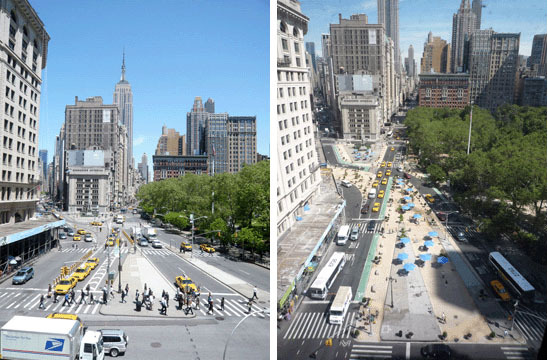 Photo simulations demonstrated the potential of transforming NYC streets to become great public spaces. The process, methodology and results of a PPS-led community visioning process around the public spaces in the Meatpacking District were presented as well. Over 3,000 people visited the exhibit at MAS, and many more viewed subsequent showings in the gallery space of the Conde Nast building in Times Square and the Brooklyn Public Library. PPS also organized a forum with leaders from Broadway who would soon help implement the radical transformations discussed. The exhibit and the emerging campaign had an immediate impact. The head of the DUMBO Business Improvement District (BID) in Brooklyn was inspired by the vision for the Meatpacking District -- which has now also been implemented -- to transform excess street space into a public plaza. This space became the first plaza in the New York City Department of Transportation's Public Plaza Program, part of the Mayor's PlaNYC initiative, in which the Mayor committed DOT to carving out public plazas from street space in each of the city's 59 community districts. Building on the exhibit, in 2006 and 2007, PPS lead extensive Placemaking processes with a series of innovative BIDs and local communities to develop Streets Renaissance demonstration projects in many of the city's most innovative, yet traffic dominated, neighborhoods, including Times Square, Union Square, 9th Avenue in Hells Kitchen, the Meatpacking District, Columbus Avenue, Petrosino Square, Allen Street in Manhattan, Grand Army Plaza, Bedford Avenue, Myrtle Avenue, and North Flatbush Avenue in Brooklyn, and Jackson Heights Play Street and Jamaica in Queens. All of the these community-led plans were implementated along the lines of what PPS helped the community envision and articulate. PPS also led advocacy for open streets projects and lobbied for, and helped plan, the pioneering Weekend Walks program with Williamsburg Walks. The campaign radically raised the profile of progressive transportation and public space issues and generated demand to bring in a new progressive administration to DOT, and most notably, a new commissioner in 2007. The most direct accomplishment for PPS was to have Andy Wiley-Schwartz, a 10+ year PPS veteran, and director of our transportation program, hired as Assistant Commissioner of Public Spaces for NYC DOT and put in charge of implementing the department's public spaces initiatives and most of PPS' demonstration projects. Many other former PPS staff, and close colleagues, steeped in our approach to Placemaking, were also hired by NYC DOT. Results are visible throughout the city. Since 2007, New York City created 59 public plazas, repurposing 39 acres of road space. The Department of Transportation also added 750 City Benches, and many temporary Street Seats in place of parking spots. 350 miles of new bike lanes, including miles of protected bike lanes, help connect these new public spaces. To bring the efforts of the campaign to lower income neighborhoods, PPS partnered with the City's Department of Health and Mental Hygiene as part of a team of organizations who received a Food and Fitness grant from the W.K. Kellogg Foundation. Under this program, PPS provided training and conducted community workshops in neighborhoods with the highest health disparities in the city, including the South Bronx, central Brooklyn and East Harlem. PPS also collaborated with Columbia University in a study of 40 commercial streets in poor and non-poor neighborhoods to understand how streetscape features may promote or discourage physical activity among city residents. PPS also led Placemaking processes for public plaza improvements in areas around the Bronx River Arts Center, Bushwick's Moore Street Market and Bedford-Stuyvesant's Utica Avenue transit station area. Building on the successful campaign model in NYC, PPS worked to set up and support similar Placemaking campaigns in other cities, leading to similar "Lighter, Quicker, Cheaper" transportation reform Placemaking programs, in Chicago, San Francisco, Los Angeles, San Antonio, Seattle, Philadelphia and Adelaide, Australia. Across many cultures and times – since the beginning of civilization, in fact – the street has held vast social, commercial, and political significance as a powerful symbol of the public realm. Transit is a component, but by no means the extent, of your experience at a station that is a place. Memorable and enjoyable stations and stops that create value for neighborhoods are perfectly attainable. In fact, a transit station or stop can serve much more than a transportation function; it can be a setting for community interaction, a place that fosters a diversity of activities.